Everything you need to give canoeing a go. An experience not to be missed with all equipment supplied. Join us for great food, campfires and craic. 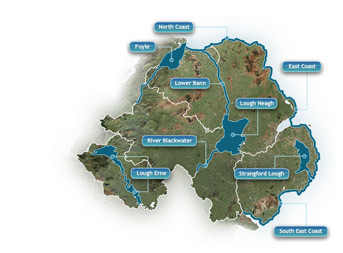 Want to take a canoe or kayak trip in Northern Ireland but you don't know where to go? Click here for maps and details of Flat Water, Sea Kayaking, White Water and Kayak Surf locations. Connect with us on your favourite social networking website. Outdoor Recreation NI and CANI endorse the principles of Leave No Trace.